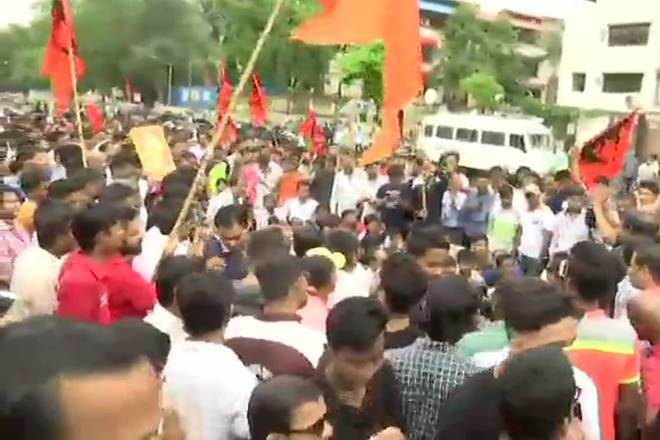 Mumbai bandh, Maharashtra reservation protest LIVE Updates: Maratha Kranti Morcha has decided to end their ongoing protest after a spate of violence by protesters. The Morcha said that they wanted Mumbaikars to return home safely. The organisation will meet later today to discuss the future course of action. 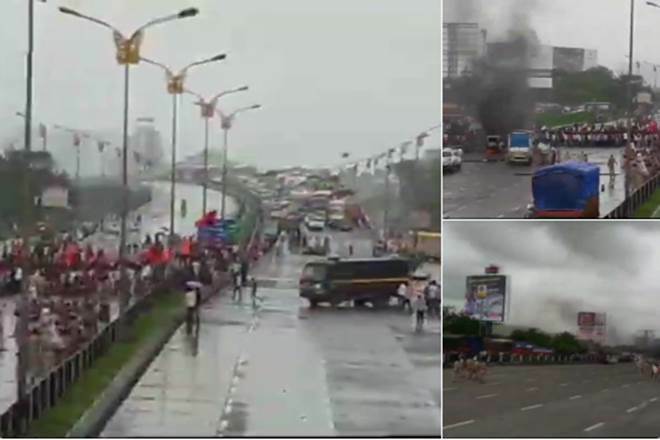 Mumbai bandh today LIVE Updates: Tyres set ablaze on Majiwada bridge in Thane. Mumbai bandh today LIVE Updates: In a big relief to BJP -led NDA government, Maratha Kranti Morcha has decided to end their ongoing protest. Addressing a press conference in Mumbai, Morcha said that they wanted Mumbaikars to return their home safely. The organisation will meet later today to discuss the future course of action. Meanwhile, heavy police have been deployed in the capital of Maharashtra and its adjacent areas to prevent any untoward situation. BEST bus services from Airoli to Vashi have been completely stopped today. According to reports, protesters pelted stones on two Brihanmumbai Electric Supply and Transport (BEST) buses near Navi Mumbai’s Ghansoli this morning. Yesterday, violence erupted across the state after Maratha outfits intensified their demand for reservation for the community. One constable died and nine other policemen were injured amid suicide attempts by three agitators. While Maratha Kranti Morcha had called for Mumbai shutdown, Sakal Maratha Samaj called for a bandh in Navi Mumbai and Panvel. 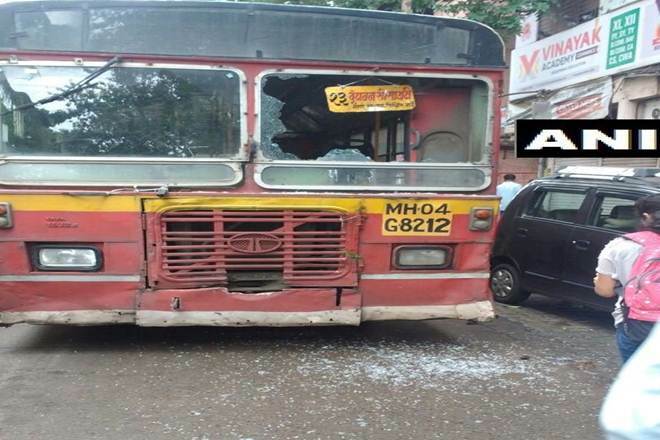 Two BEST buses were attacked by agitators in Kanjurmarg and Bhandup suburbs of Mumbai. In view of the stone-pelting on buses, the Brihanmumbai Electric Supply and Transport (BEST) partially suspended its services in those areas and expects to resume it when the situation improves, an official of the transport body said. 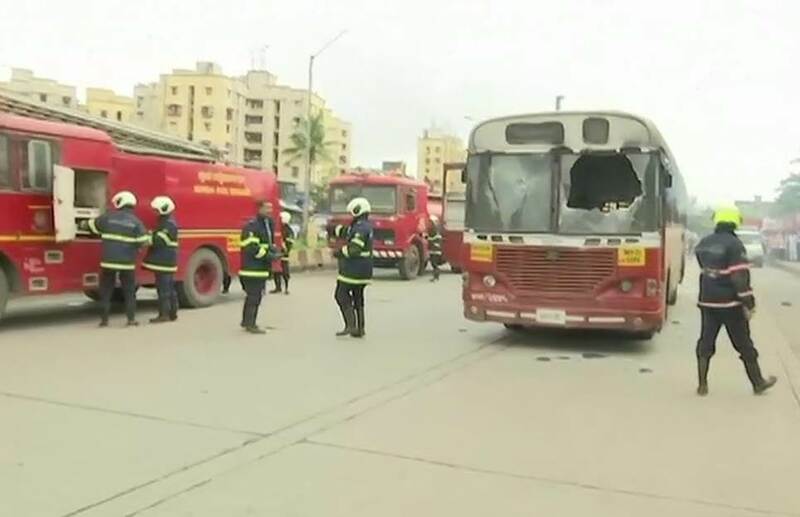 A bus was also attacked in Ghansoli area of Navi Mumbai following which the city transport authority suspended its services in the area, an official said. As per the latest reports, protesters tried to stop local trains on the Central Railway (CR) and the Western Railway (WR) corridors. "A few protesters stopped trains on Up fast line at Jogeshwari at 9.16 am, however, they were removed from the track and train services resumed at 9.24 am. All lines working normal on WR suburban section," the Western Railway said in a tweet. Agitators also threw stones at trains passing through Thane and Ghansoli (located on the trans-harbour line in Navi Mumbai) stations and services were halted briefly. "There were isolated incidents at Thane and Ghansoli after 9.59 am. The situation normalised at 10.24 am," CR's chief PRO Sunil Udasi said. While, buses have been attacked, Mumbai's lifeline local train services remain unaffected. The suburban railway services on the western, central, harbour and trans-harbour lines were operating normally, officials said. Around 70 lakh people travel in local trains daily in the Mumbai region. A protester who attempted suicide by consuming poison yesterday in Aurangabad's Deogaon Rangari, has died in a hospital. He was a protester in the agitation for reservation for Maratha community in government jobs and education. Harshvardhan Jadhav, Shiv Sena MLA from Kannad (Aurangabad) constituency, has offered his resignation to Vidhan Sabha speaker via mail over Maratha protest. The lawmaker has left for Mumbai and will be giving a physical copy to Vidhansabha speaker. Even after the Maratha Kranti Morcha had decided to end their protest, the violence in several parts like Thane, Navi Mumbai, Koperkhairani, etc continues. Stones were pelted on police personnel. Earlier, Chief Minister Devendra Fadnavis had said that he is ready to talk with the agitators. Maratha Kranti Morcha today vowed to gherao CM Devendra Fadnavis's official residence in order to press for his resignation and seek finality to their demands. 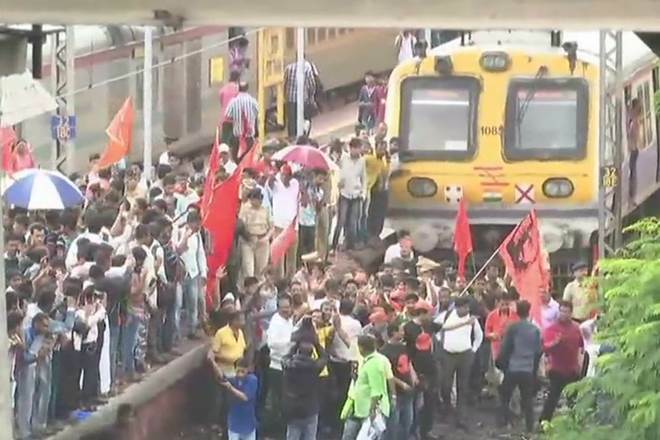 Train services between Thane and Vashi on Trans-Harbour line that were stalled due to Maratha Kranti Morcha's protest over demand for Reservation in govt jobs and education, resumed after the organisation called off their protest. Chief Minister Devendra Fadnavis has agreed to meet the protestors. The move comes after Maratha Kranti Morcha had called off their agitation. As the bandh has been called off in Mumbai, the situation remains tense in parts of Thane and Navi Mumbai. The authorities have barred entry of vehicles into the city. Meanwhile, traffic on the Mumbai-Pune Expressway has resumed. Maratha Kranti Morcha also said that they have no knowledge about who is behind the violence. Addressing media in Mumbai, Virendra Pawar, leader of the Morcha said, "We are Marathas. We don't hurt anyone. Will say thank you to Mumbaikars for cooperating. The bandh has been successful. Don't know who is behind the violence." Maratha Kranti Morcha today said that it never wanted protests to get violent. Speaking to PTI, Virendra Pawar, leader of the Morcha said, "We only wanted to prove that we are together and proved it. We never wanted protests to get violent and therefore we are calling off our bandh in Mumbai for today." Maratha Kranti Morcha leaders will meet later today to discuss the future course of action. Maharashtra's Minister of State (MoS) for Home Affairs Deepak Kesarkar today said that he is looking into the matter as reports of untoward incidents were reported from several parts of the State. Maratha Kranti Morcha was protesting over demand for Maratha Reservation in government jobs and education. Maratha groups who were protesting for the quota in government jobs have decided to call off their stir. Due to ongoing Maratha protests, train services between Thane-Vashi/Nerul on Transharbour line is not running. Due to the ongoing protests, the movement of traffic has been affected on the Mumbai-Nasik highway. Protestors have blocked the Mumbai-Pune highway. Maratha community member Jagannath Sonavne had attempted suicide yesterday during ongoing Maratha protest here, died on Wednesday. Sonavne had jumped into a river. Earlier on Monday, another Maratha protestor, Kakasaheb Shinde jumped to his death in Godavari river in Aurangabad district. The police forces in Mumbai, Thane, Palghar, Raigad and Satara districts were on their toes to prevent any law and order problem during the bandh. Protesting Maratha Kranti Morcha activists have blocked Eastern Expressway in Chembur today. It has been reported that agitators raised slogans against Maharashtra chief minister Devendra Fadnavis and Public Works Department Minister Chandrakant Patil for allegedly insulting sentiments of the Maratha community. They have started gathering at various locations in the Mumbai region and the neighbouring Raigad and Palghar districts. In Aurangabad, protesters set a fire department vehicle on fire. Images emerged from the area showing that a vehicle was toppled with a plume of smoke around it. The tyres of the vehicle were burnt in front of a government office in Osmanabad and trains were blocked in Parbhani district. The protests started after the death of a 28-year-old man Kakasaheb Dattatreya Shind, who jumped into the Godavari River on Monday. He was rushed to a nearby hospital but was declared dead. Maratha protests erupted in 2016 when the Devendra Fadnavis government had announced an interest subvention scheme for the self-employed and poor farmer producer groups. According to to IE report, only 253 out of 11,555 applications have been cleared and disbursement made to only eight people. NCP president Sharad Pawar has advised the state government should highlight in court the fact about 70 per cent reservation in Tamil Nadu. "The demand for reservation for the Muslim and Dhangar communities should also be considered sympathetically," he said. "We will continue our agitation until the CM apologises to the Maratha community (for alleging that some members from the community were planning violence at Pandharpur)," Maratha Kranti Morcha coordinator Ravindra Patil said. Protesters have blocked some areas, including the key Teen Hath Naka junction, resulting in long queues of vehicles on the road leading to Mumbai. Agitators gathered at various locations in the Mumbai region and the neighbouring Raigad and Palghar districts. Mumbai is witnessing several protests across the city. Prtotesters are seeking answer from the Fadnavis government. In Dadar, agitators raised slogans outside the police station. Maharashtra is witnessing sporadic clashes. 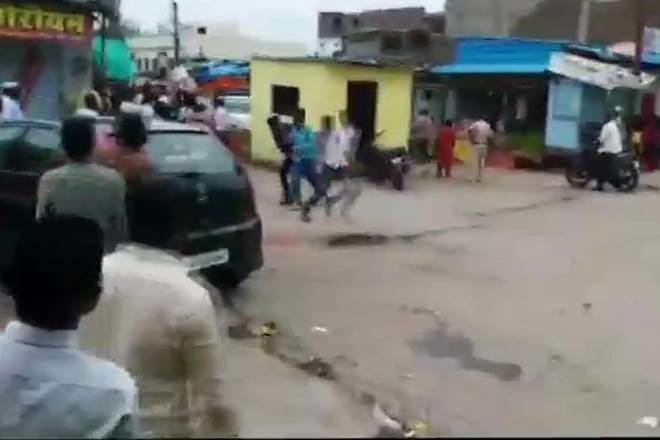 Clashes break out between two groups in Udgir in Latur district of when one group was forcibly trying to get people to shut shops and overturned a vegetable cart while attempting to enforce Maharashtra bandh. Heavy police forces have been deployed. Protesters pelted stones at Thane Municipal Transport (TMT) bus in Wagle estate area of Thane.